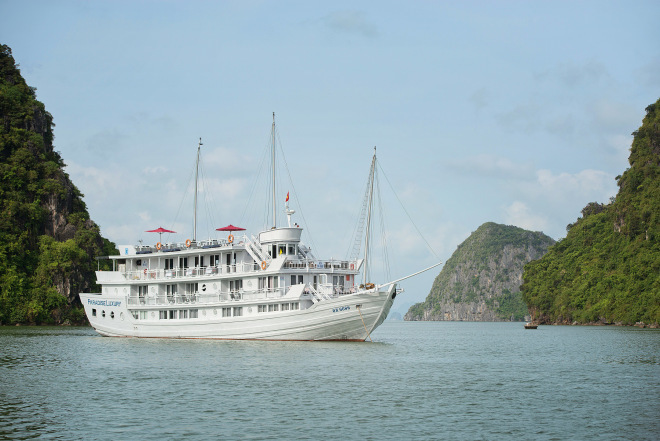 At Paradise Vietnam, we are always on the lookout for ways to upgrade, improve and enhance our excellent facilities so as to remain at the pinnacle of Halong Bay Luxury cruises. Our most recent innovation has been the upgrade of our incredible, wrap-around, sundecks that now not only offer phenomenal views but also premium levels of comfort. Paradise Cruises always attempt to enhance the excellent facilities and service to remain at the pinnacle of Halong Bay luxury cruises.